What is this aquaponics stuff all about? It sounds like hydroponics and isn't that something for grow illegal stuff? These are some of the questions I hear often when talking with friends and family as I started working with aquaponics. 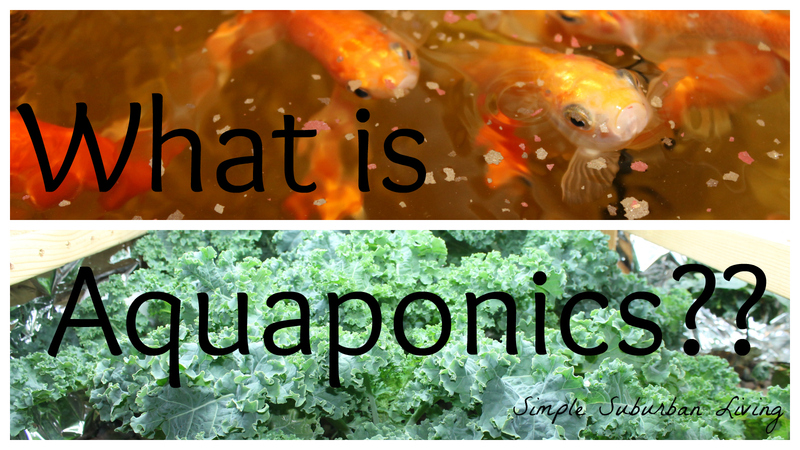 Until a few years ago not many people had even heard of the word "aquaponics". Now it has become more widely understood thanks to the internet and avenues of sharing such as YouTube. Aquaponics is the combination of hydroponics and Aquaculture. This means that we are combining raising fish of any kind along with growing plants in a soilless medium. In aquaculture you just raise the fish to eat of stock lakes and ponds, but you still need filtrations systems to keep the water clean. In hydroponics you need to purchase a mix a nutrient solution and cycle it over the roots of the plants for them to grow, but you still have to purchase and add fresh nutrients often. Aquaponics is the solution to make these work together. In aquaponics the fish waste is cycled through a series of systems that actually filters the water and produces a perfect nutrient for plants to grow. This is called the nitrification cycle in nature and it is exactly what happens in lakes and ponds. The fish waste and the result of the fish respiration releases ammonia into the water. That ammonia is then converted by bacteria growing on the surface of rocks or other media in the system. It is first converted into nitrites and then finally converted to nitrates. This is the food for the plants just like fertilizers that you would buy at the store. The system general consists of a fish tank, sump tank, some type of settlement filter (this is not always needed), and grow beds containing some type of media like rock or baked clay. The water from the fish tanks flows into the grow beds and slowly fills them to the top. An automatic siphon called a bell siphon is generally used to then automatically drain the water from the grow beds down into a sump tank. This creates a fill/drain cycle that in my system fills and drains about every ten minutes. This is important for the roots of the plants to get some air and also for the bacteria. Once the water flows back to the sump tank it is then pumped back up to the fish tanks as clean purified water for the fish. This eliminates the need for any filtration for the fish and eliminates the need to add nutrients for the plants. There are so many advantages to aquaponics it is hard to list them all but one of the big ones for desert areas is that the system does not use much water at all. Far far less than conventional gardening where the majority of the water evaporates or drains away. In aquaponics it is a closed loop so the only water you ever have to add is to replace what the plants use and any evaporation. Plants generally grow much quicker in aquaponics as well since they had access to water and nutrients 24/7, no forgetting to water! I have been running an indoor system for a bit over a year now and have loved being able to grow some of our own food year round in our basement. 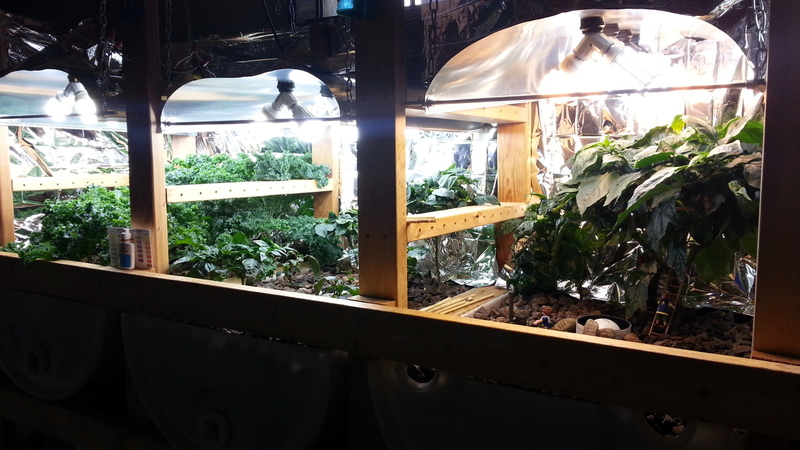 You can also setup systems outdoors or in a greenhouse as well of course which eliminates the needs for grow lighting. Having the small scale aquaponics system has been so much fun for our family. The kids love to check on the fish and harvest fresh food. We have been growing a surplus of fresh kale and Bell peppers. I am constantly down there just checking on everything and almost watching it grow.